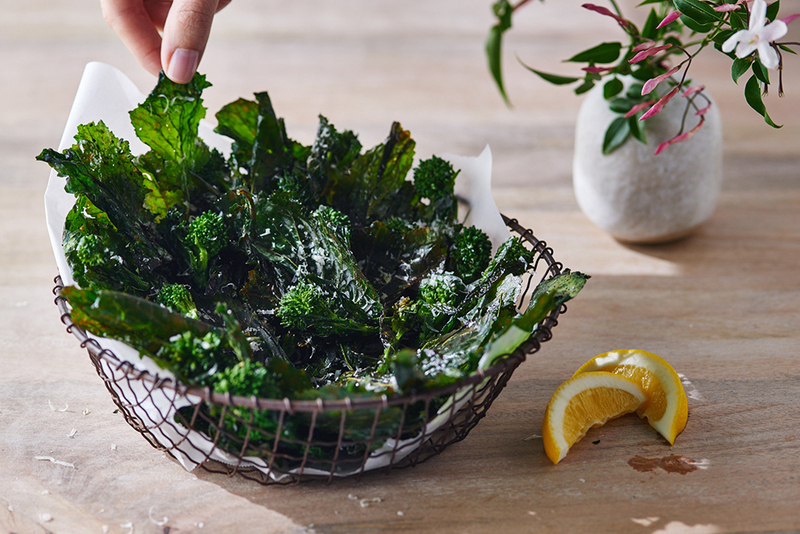 For a fresh and healthy snack that can be taken on the go or enjoyed at home, look no further than Keri’s Lemon Broccoli Rabe Chips. 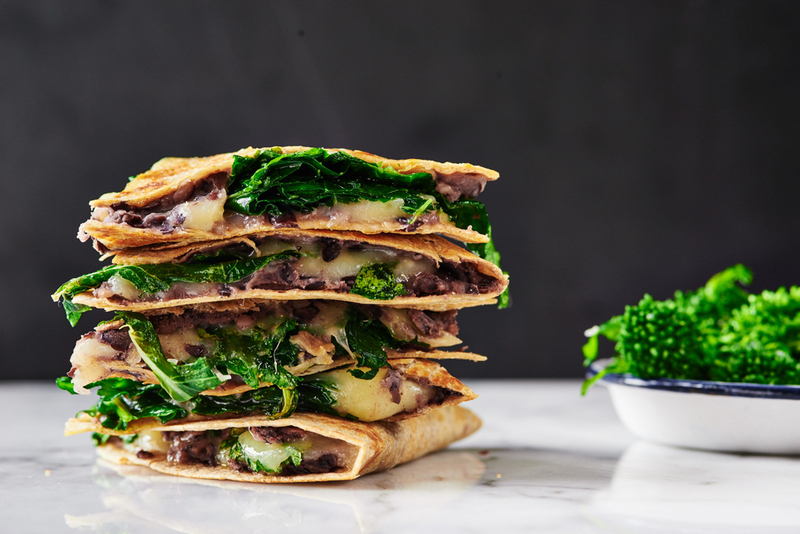 With just 10 minutes of prep, you’ll have a tray of zesty and fantastically nutritious Broccoli Rabe Chips at your fingertips whenever you want a quick bite! We all snack, and there’s absolutely nothing wrong with that, just as long as we’re giving ourselves healthy ways to do it. Keri, in her own words, was born to be a nutritionist. The author of four books, Keri has been advancing the “whole person” approach to wellness for over a decade, through numerous media appearances as well as through her Nutritious Life platform, which includes an app, magazine, and online blog. 2. 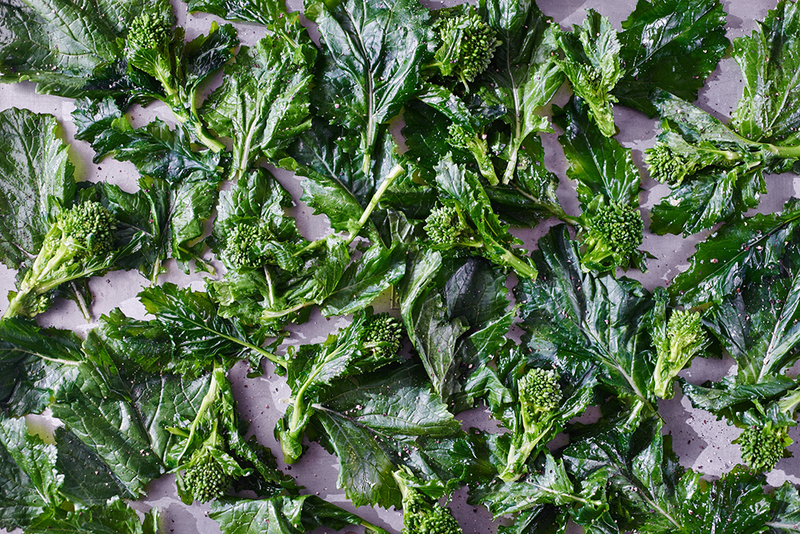 Chop broccoli rabe leaves and florets into 1” pieces and spread them on a baking sheet. 3. 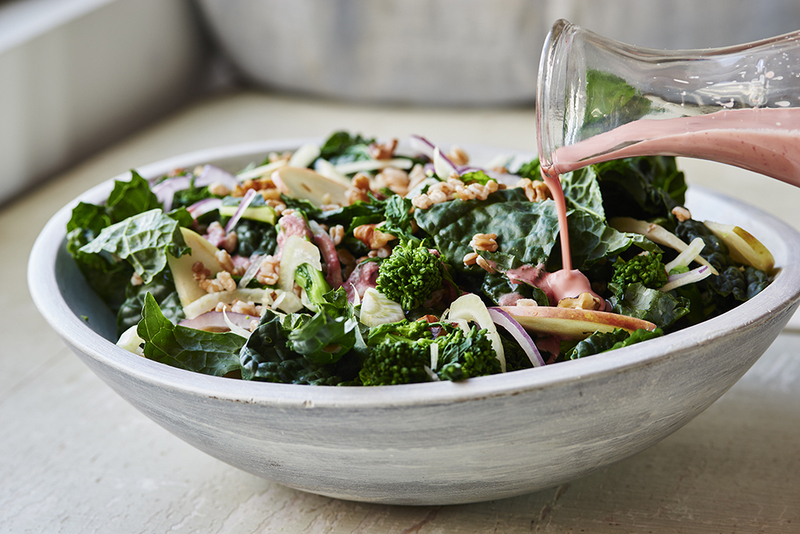 With your hands, massage oil and lemon juice into broccoli rabe. 4. 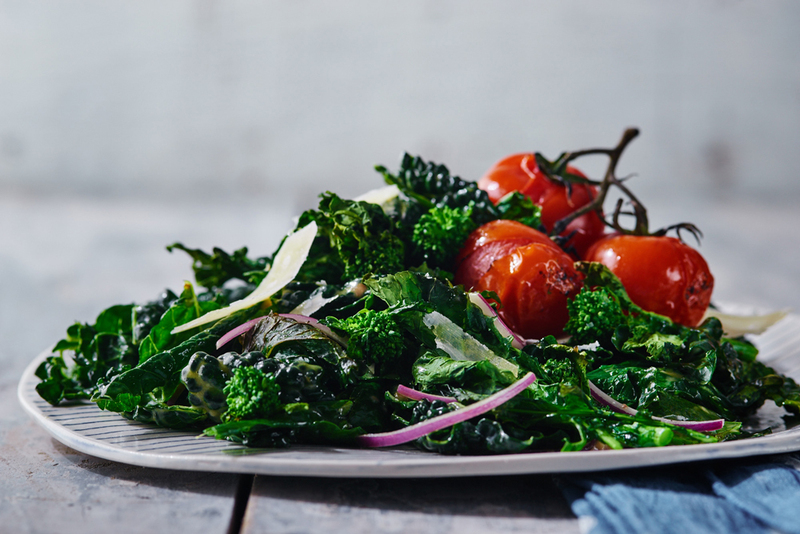 Top broccoli rabe with pepper. 6. Remove tray from oven to flip the chips and bake for another 3-4 minutes. Monitor closely for the second time in the oven, as the chips can burn easily. 7. 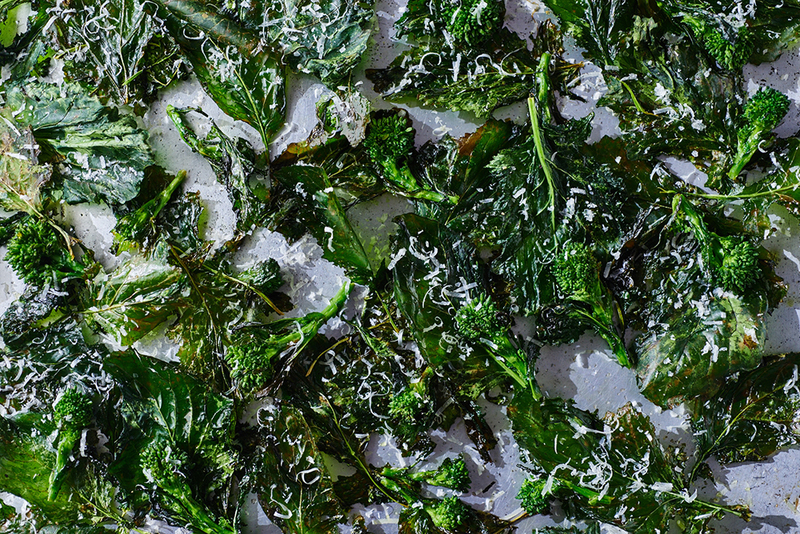 Remove from oven, sprinkle the parmesan cheese and let cool.